​We are located 30 miles northwest of Green Bay in Shawano County with over a thousand acres of field, forest, and farmland. This area has a large population of turkeys, and you will have a great time as we call in turkeys and get opportunities to shoot that big gobbler. 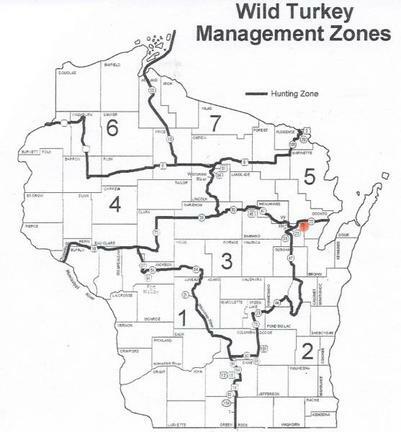 Be sure to check your hunting week and zone when setting up your turkey hunt.